Talgarth accommodation in friendly Talgarth hotels, B&B, Bed and Breakfast, homely Guest Houses, cosy Holiday Cottages, congenial Country Pubs and Inns, luxurious Talgarth Country House Hotels and Caravan and Camping sites. Stephen and Lynn welcome you to their Brecon Beacons Bed & Breakfast Accommodation at the Old Radnor Barn, Talgarth. Set within the Brecon Beacons National Park, the area is renowned for its scenic beauty and is an ideal base for holidays in Mid Wales, South Wales and the border towns of the Marches. The Old Radnor Barn offers twin, double and family accommodation. All rooms are tastefully decorated and furnished, having the benefit of either private/ensuite facilities. They are all centrally heated and equipped with a TV, radio, hairdryer, iron, first aid kit, supplementary heater, tea and coffee making facilities together with a courtesy tray including bottled water and fruit bowl. Ironing board available on request. Room service available We are delighted to offer ground floor accommodation with level access both inside and out, suitable for the elderly or disabled guests. Single : from £30 per night (negotiable dependent on time of year). Double : from £50 per room per night. Twin : from £55 per room per night. We operate a no smoking policy for your comfort. 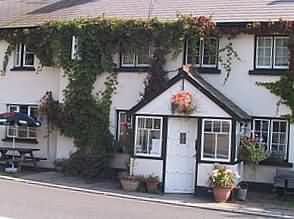 Bed and Breakfast accommodation at the Castle Inn Pengenffordd. The Castle Inn is named after the ancient fortress of Castell Dinas which lies right behind us at the top of an unspoilt valley within the Brecon Beacons National Park, Wales. It is a former hill farm located at over 1,000 feet above sea level in the rural heart of the Black Mountains which make up the Eastern part of the Brecon Beacons National Park. We cater for individuals and groups of all sizes, and have had great times with hen and stag parties too. We have our own spring water supply and have been CAMRA recommended, so whether you are a drinker or not you're sure to get the finest!. We make lots of good home cooked food, and are always glad to see you! 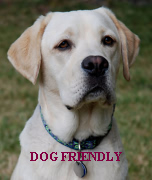 Good home cooked food, good real ales, log fire when it's cold, good company, good accommodation, friendly pub dog (Spot)- what more could you need? On cold evenings you can relax by our open log fire, join us for a drink and try our good home cooked food. Bunkhouse Accommodation : The Trekker's Barn is for groups only, and rated 3 star (group accommodation) by the Wales Tourist Board. One side has a minimum occupancy of 7 and the other side has a minimum occupancy of 9. To book both sides there is a mimimum occupancy level of 16.